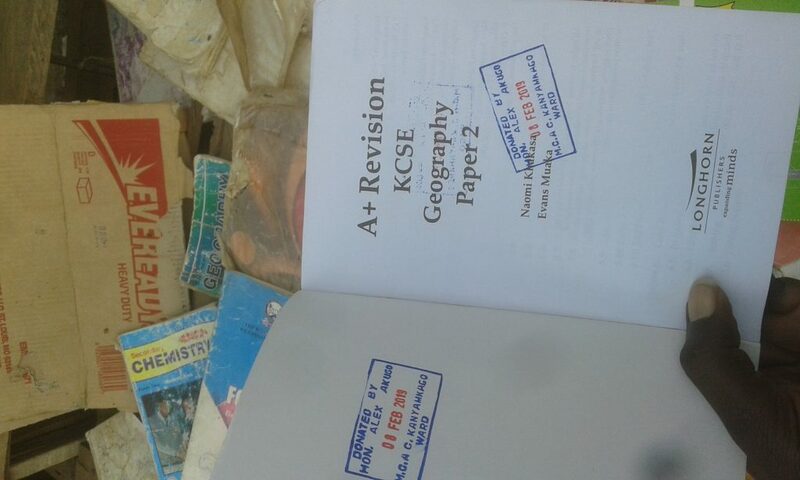 Books belonging to various schools have found their way into the hands of book sellers in the streets of Migori, Migori News has learnt. This is despite the government doubling its efforts in supplying schools with books to ensure the student to book ratio is 1:1. Individual donors have also come forward to supplement the governments efforts but all this is in vain. Some heads of schools however seem to care less about the loss off books from their schools. 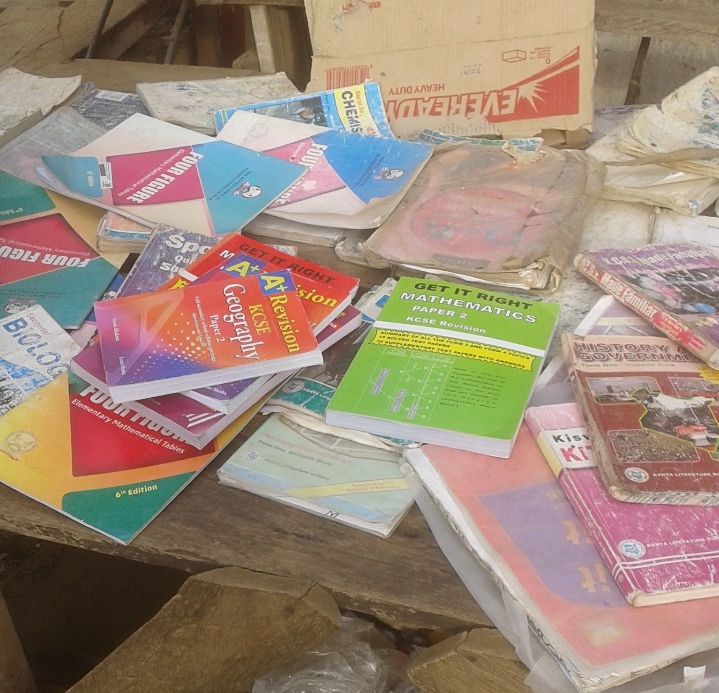 A spot check by MN on Sunday along the Migori town’s main bridge revealed that several schools across the County had lost thousands of books to the unscrupulous business men. Several books had visible rubber stamp markings which had been tampered with to conceal identities of the schools. But we were fortunate to find books from St. Paul’s Omobo Secondary School in Uriri which still had their rubber stamps visible. The books were donated by Central Kanyamkago MCA Alex Akugo on February 8 this year. When contacted, Akugo confirmed that he indeed donated the books to the school and had transferred the care of the books to the school. The Ombo Secondary School Principal Isaac Olambla however blatantly denied having lost any books from the school but later acknowledged the loss. “I don’t care whether you have the evidence or not, I think I have my records and I have my books in school,” Isaac Olambla. The National Government began the distribution of books from private suppliers last year.